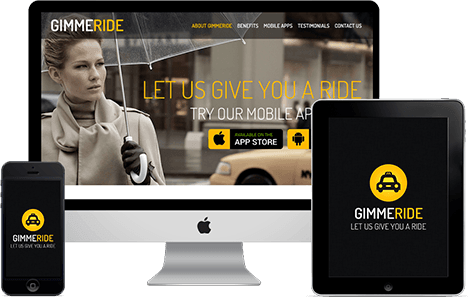 GimmeRide is an application designed to match customers who look for a ride and taxi drivers who looking for extra cash. GimmeRide is a pickup taxi service. Order a ride or become a taxi driver! This app has 2 modes: driver and passenger. Switching between them takes only one click of a button. Once you are a passenger, mark the location where you need to be picked up. Your pickup request will be sent to all the drivers in the town who also use GimmeRide. You’ll get matched with a friendly, background-checked driver to give you a ride within minutes. Review your driver and the car on the photo before your cab arrives. Get in touch with the driver and ride on! Becoming a driver has never been easier! Enter your driver information, upload your photo, photo of your car and start receiving pickup requests from all over the town! Review pending requests awaiting drivers' response. Accept the one closest to you and find a rider instantly! Get in touch with a client and answer to the changes within the order. You are the one calculating the fare for the ride! The GimmeRide is clear and easy-to-use application with fancy design. It provides live data about orders, it’s useful for both taxi passengers and drivers and it allows switching between the modes by a click of a button. Convenient for all. Order a ride or become a taxi driver in one click. Designed on trendy technologies with comfortable interface. 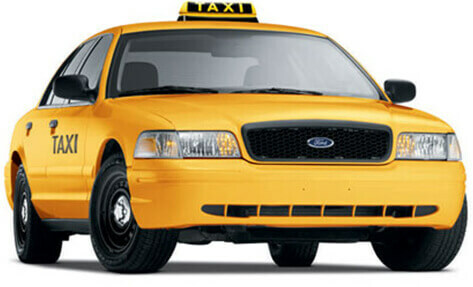 Simply allows clients to order taxi cabs and get to desired place. Allows driver to get orders, choose destination and get ranked. GimmeRide is available now on AppStore and Google play. Our app matches customers who look for a ride and taxi drivers. Download now and get full range of benefits by using GimmeRide. Download GimmeRide now on your iPhone or Android device. Launch the app and have your location defined automatically or type it manually. With just one click let the drivers know that you need a ride. Get picked in just minutes! To become a driver simply switch to the driver mode, enter data and start receiving pickup requests from customers right away. Accept request and passenger will get push-notification. Both a passenger and a driver can cancel an order by calling without paying a commission. Once a trip is over a passenger pays for the trip in cash. This allows a driver to get the money for a completed order at once, without additional commissions from a taxi service or for cash withdrawal. People who already enjoy all the features and benefits of using GimmeRide didn't remain indifferent and left us their feedback. Thank you for using GimmeRide! Smooth and easy app with lovely design. Ordering a taxi became an interesting and profitable thing. Prices are much lower because there are no 3rd parties. Good job. Now I'm working at myself. I choose where to rideand whom to carry on my own. Thanks to GimmeRide for such a great opportunity! The GimmeRide app can be fully set up according to your desires with all the necessary functionality added to it, or having changed the existing ones. Order your own version right now! Ordering your custom GimmeRide version will give you possibility to drive your own taxi service business. Customers can have the opportunity to choose taxi by their preferences. Cheap, fast, comfortable or any other. This feature allows passengers to order taxi in advance thus save time and plan better. Add the possibility of forming a personal list of favorite drivers. Priority will be given to them. Want custom GimmeRide version or just have question or idea? Feel free to contact us at any time! Leave us your feedback and check out our works. AppCodin is an iOS & Android mobile applications development sub-division of Riff Point LLC. We are focusing on reliable partnership with customers. Our projects are managed in a timely manner where quality and customer business goals achieving plays a primary role in every product development that we produce. Our iOS & Android mobile apps are provided through a full cycle of product development from the basics to support by embodying your business concepts to reality. Copyright © 2014 GIMMERIDE. All rights reserved.